It’s been a long time since I played Mega Man X, the game changing tale of how the Mega Man legacy survived into the future, and the subsequent blight of the Maverick Virus. This series made a big impact on me, so when I saw Maverick Hunter X go on sale during PSN’s Golden Sale, I bought it despite my reservations. See, typically, I avoid remastered editions of games like the plague, especially if I played the original. I just reason that there’s only so much they can soup up with a remake, and, generally, I find them lacking, seeing them as little more than money grabs. However, when Maverick Hunter X was on sale for less than $5, I couldn’t really justify waiting any longer. I was just too curious to see how it differed from the original. The question remains — did this remake change my stance or was it just a waste of my coffee money? The first thing that jumped out at me upon starting up the game was that it utilized anime cutscenes to tell the story. While I’m not a big fan of anime in general, I find it more than palatable in video games. Furthermore, in this particular game, I feel the anime story sections added a lot more depth to the overall experience. Much like in Mega Man X4, which I believe was one of the first games in the series to utilize this mechanic, I felt more drawn into X’s world as a result of watching them. The second thing to stand out was the graphics. I am a strong proponent of pixelated graphics, and, initially, I wasn’t a fan of the new 3D models used for X and the rest of the characters in the game. However, the more I played, the more I felt the use of these also allowed for more complex animations, especially with regard to the bosses. While I wouldn’t say these models were definitively superior to the original pixelated ones, they did offer a nice contrast to get me immersed in the experience. An epic moment from the ‘Day of the Maverick’ movie unlocked by beating the game. While on the topic of new features, I also have to mention the voice acting. There is a lot of VA in Maverick Hunter X, from X’s various shouts to the catchphrases bosses bark during battle. These range from good to laughable (looking at you, Sting Chameleon! ), but, overall, add a lot of personality to each of the characters. 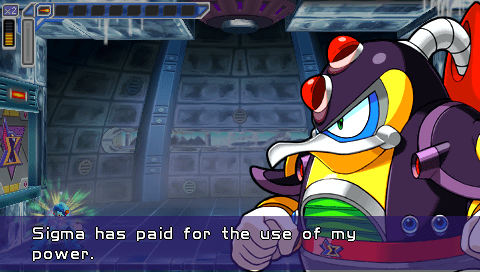 This was especially apparent in the intro dialogue before you faced each boss Maverick in battle. I could feel the arrogance of Sigma, the irreverence of Chill Penguin and the brutality of Flame Mammoth. Nothing better than getting a fresh perspective on characters from a game that defined my childhood some 10 years later! As for the game itself, it plays much the same as I remember, but with a few tweaks. For example, some items are found in new locations, while others require new methods to acquire. I was very impressed by the new backgrounds found in each stage. The levels no longer look flat, and the 3D set pieces make everything shine that much more. The game controls very well, despite playing on a handheld as opposed to my original SNES controller. Even if it didn’t, the game wisely allows you to remap buttons, which I instantly did so I could use the shoulder buttons to dash. One curiosity is that I swear the enemy placement is different in this game, and they seem a lot more inclined to corner you, but otherwise attack as I remember. So, for the most part, the game plays much the same, at least until I got to Sigma’s Palace. But more on that later. The music in the game is also quite similar, though I understand many, if not all, of the songs in Maverick Hunter X are remastered versions of the classic songs. For the most part, they set the mood and weren’t offensive, but I vaguely recall being more pumped up by the songs in the original. Though that recollection could be a figment of my imagination, as most games shine all the more when liberally flavored with nostalgia. I will say that I was very happy with the rest of the sound effects. I especially appreciated how the game utilizes audio cues smartly. Whether it be X’s shout of success as his buster reaches maximum charge or the sound of an enemy preparing an attack, they allowed me to play much more tactically. As I mentioned earlier, the game is much as I remember up until I got to Sigma’s Palace. I keenly remember back in the day, playing the first section, fighting off mechanized turtles and then being forced to ascend via floating platforms. Imagine my surprise when I reached that section, but instead of ascending, was forced to descend into the watery depths! 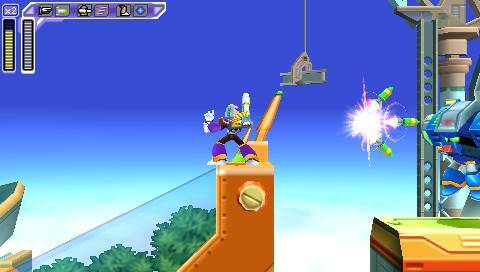 Sigma’s Palace is not only redesigned, but it is much harder than I remember. Each section is stylized around the Maverick you will face at the end of it, which was also a very cool touch. While I feel the bosses were slightly toned down for the Normal difficulty, I did appreciate the creativity and attention to detail on Capcom’s part. Just goes to show that, when they feel like it, Capcom can do a great job. Silly penguin, you’re STILL a pushover! As far as replay value goes, I find there is a lot more in Maverick Hunter X than in the original. This is primarily thanks to the smart inclusion of Vile Mode. 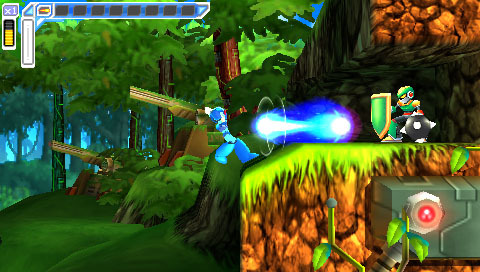 While it might make more sense to play as Zero, fans can already experience the badassery of the Reploid swordsman in later entries in the X series. After beating the game once, you unlock Vile mode and the ‘Day of the Maverick’ movie. 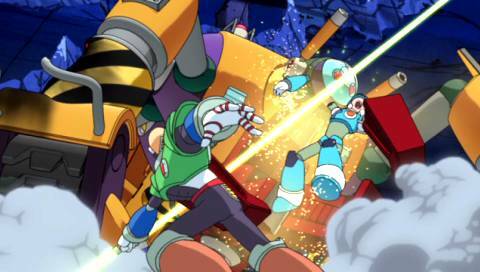 This movie essentially served as a prequel to the events of Mega Man X, showing Sigma going Maverick and other dramatic treachery. While the movie was certainly a nice touch and gave a lot of character development for X, Zero and Sigma, Vile Mode is where the game shines. Not only is it a blast to play as the iconic villain, but he plays TOTALLY different from X. Playing as him is essentially a Hard mode, but that doesn’t make it any less satisfying or fun. While I was able to burn through Normal Mode as X in about four and a half hours, I estimate it may take me up to six at least to beat it as Vile. And that’s only taking into consideration playing it on Normal. I haven’t even touched Hard mode, for either of the characters! You could easily spend 10 hours or more just playing through the game. Vile is a bad robot AND a badass! Overall, I was very pleasantly surprised by Maverick Hunter X. It took the great game I remembered, splashed on a new coat of paint and made it new again. Better yet, the improved production values drew me even further into the universe I originally explored years and years ago. 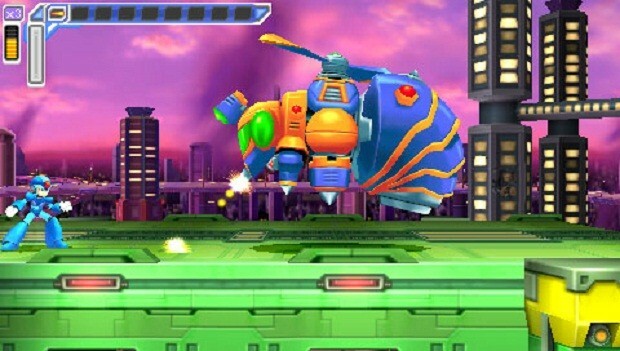 With the inclusion of Vile Mode, it has sold me as the definitive Mega Man X experience. The only question is why Capcom failed to capitalize on this trend by remastering Mega Man X2 and X3. Regardless, though, if you have a PSP or Vita and are clamoring for some Maverick hunting, you can do no better than picking this game up. It’s a must-have for any true Mega Man fan.